The Weton budget label released the CD "Christmas Time" and "The Christmas Hits & His Greatest Hits" on October 10, 2008. Both are single disc releases. 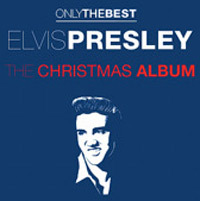 On iTunes The Christmas Album" was released in the "Only The Best" series by N2K Publishing on October 13, 2008. This compilation contains twelve tracks. why bother posting this with no track listing? Finally a Elvis Christmas Compliation,thanks you so much,im so happy!